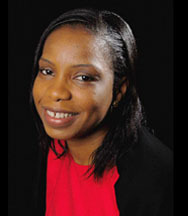 Tunde Okeowo is the Pastor in charge of Newbirth Ascension Centre, a thriving multinational ministry in Camden, affiliated to the foursquare group of churches. 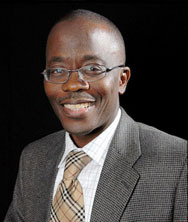 He is also the CEO and Vision Coordinator of Tunde Okeowo Ministries. He is a man that loves and cherishes his service to his Master, the Lord of Lords and King of Kings, the owner of the universe and all that is in it. Tunde is a Charismatic, Motivational and disciplined speaker of the word; he is a teacher, mentor and an orator. He preaches and teaches with simplicity and understanding God’s word in a challenging and non compromising way. 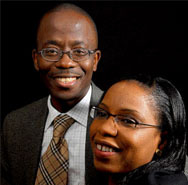 Tunde is also an entrepreneur of which he trades in Retail, Pharmaceutical and Real Estates. Tunde is a firm believer of life is not an accident but a mission, thus the phrase “find out why you are here and pursue vigorously to accomplish it before your time is up”. He is also an advocate and firm believer of the family structure of which he says if our homes are good then our society would be. Tunde is married to a wonderful and beautiful wife Busola who Co Pastor the Church with him, and they are blessed with four wonderful children Ayokunmi, Ayotunde, Ayosubomi and Olatunde (Jr.). All their children are raised with God fearing values of which the two elderly ones are already involved in ministry work.